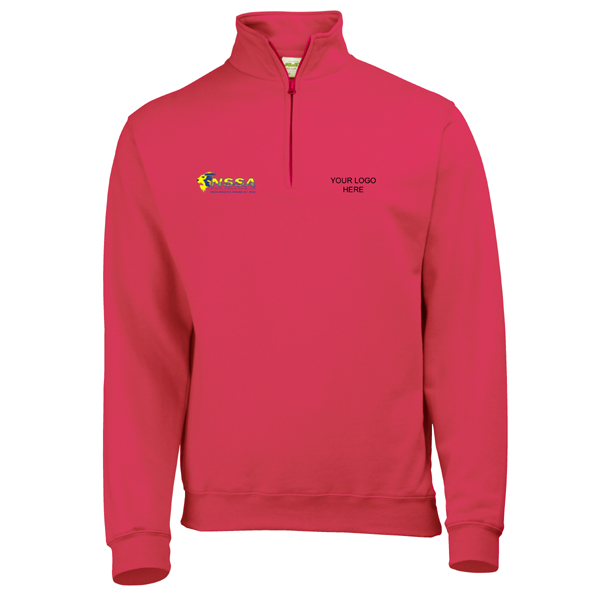 Supplied with the NSSA logo embroidered on the right breast. Your team logo will be embroidered on the left breast (please upload your logo below). Team names and individual sailor/helper names are applied to the reverse (please use the boxes below). If you don't want your team logo or names on your garment, leave the options blank. This unisex 1/4 zip sweat features a 1/4 zip neck with metal YKK zip and puller. Features ribbed cuffs and hem.